Today’s article is a quick tip on how to troubleshoot problems in Windows 8.1, which you will most definitely run into using Microsoft’s shiny new OS. However, most problems don’t require booting into safe mode or following a 10 step guide to fixing WiFi problems. Microsoft has also gotten smarter and included a lot of tools and help guides in the OS itself to diagnose and fix problems. I’ve found that teaching my clients how to use these built-in tools saves me a lot of time because they are able to fix problems in Windows 8.1 themselves. In this article, I’m going to talk about the built-in Windows 8.1 troubleshooters that can help you fix common problems. 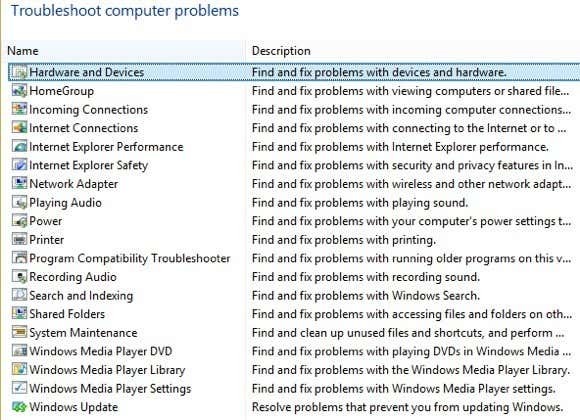 Before I show you some of the troubleshooters, let’s see how to get to them in Windows 8.1. First, open the Charms bar by pressing Windows key + C or moving your mouse to the upper or lower right of your screen. Click on Search and then type in troubleshooting in the search box. 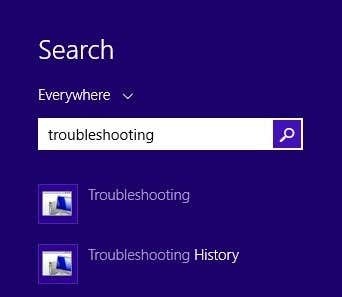 Click on the first result, Troubleshooting, and the main window will pop up where you can start troubleshooting computer programs. The main interface is broken down into categories like Programs, Hardware and Sound, Network and Internet and System and Security. You can either choose from the list that is shown or you can click the View all link at the top left. I tend to click on that just so I can see all the options. All of them will have a little Advanced button at the bottom, which you want to click on to see more options. It’s a good idea to keep the Apply repairs automatically checked and to click the Run as administrator link. 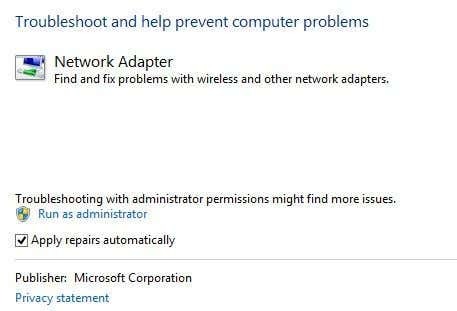 Running the troubleshooter as an Administrator will allow windows to find more possible issues. When you click Next, the troubleshooter will start trying to detect any issues. 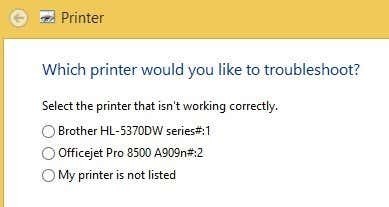 For example, when I ran the Printer troubleshooter, it checked the spool service for errors and gave me a list of printers to see which one I was having trouble with. 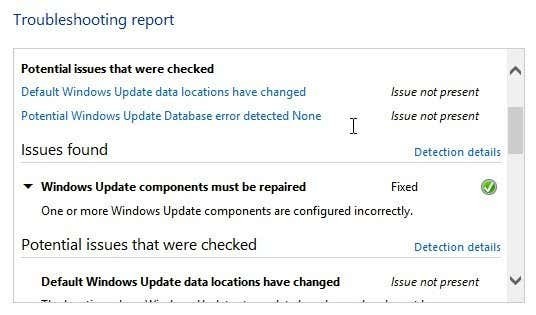 You can click on View detailed information to see exactly what issue was detected and fixed. In my case, it looked like one of the components for Windows Update was configured incorrectly. That’s about it! 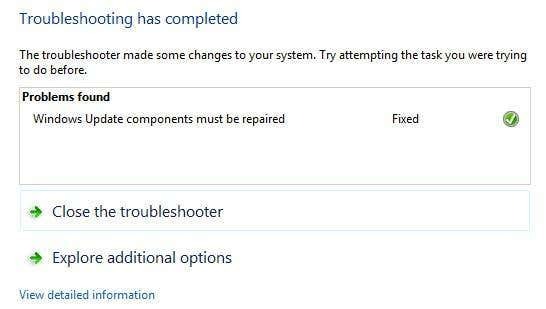 Using the troubleshooters built into Windows 8.1 is always a good first step. If the troubleshooter doesn’t work, it’s time to start Googling around for a solution, but hopefully you won’t have too. Enjoy!